In the Networked microsensors and the end of the world as we know it article, the author talks about sensors being able to link the 'world of events' with the 'electronic world of computers, processes and storage devices […] by integrating analogue sensing with digital processing […]' (Shepherd, 2003). Is Russia in for a Hard Fall? While Russia is currently reeling under the weight of sanctions and low oil prices, Western powers may be overestimating the impact of those factors to force Russian President Vladimir Putin to change course, experts say. 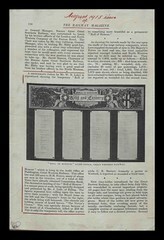 Description: Roll of honour for staff members at the Great Western Railway office in Paddington, London, who went to war. Speaker(s): Professor Sam Scheffler | Imagine you discovered that shortly after your death an asteroid would destroy the world. How would that affect how you lived your life? Would you bother to come to this session with renowned philosophy professor Sam Scheffler? We think you should. Samuel Scheffler is University Professor and Professor of Philosophy and Law at New York University. Edward Stourton is one of BBC Radio 4's leading presenters of news and documentaries. Based on your own experience, and using the evidence you have read about and heard, answer the following questions. Here are some questions that were explored in the video. You may want to provide your thoughts and considerations before looking at the comments.